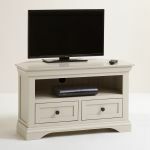 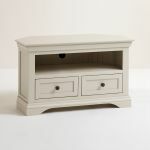 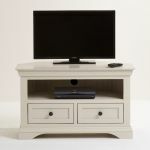 The Arlette grey corner TV unit, in a crisp and clean painted finish, is a striking addition in any living room. 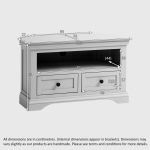 Tucked neatly into a corner, it provides plentiful storage, thanks to two drawers that are completed with real dovetail joints for strength and durability, and a storage shelf with cable exit holes at the back to keep your home tidy. 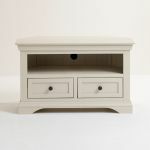 This versatile mid-tone corner TV unit has the sophisticated design details that the range is known for, including decorative cornices, arched bases, and panelled drawer fronts, and the look is finished with the dark metal button knobs for a hint of modern contrast. 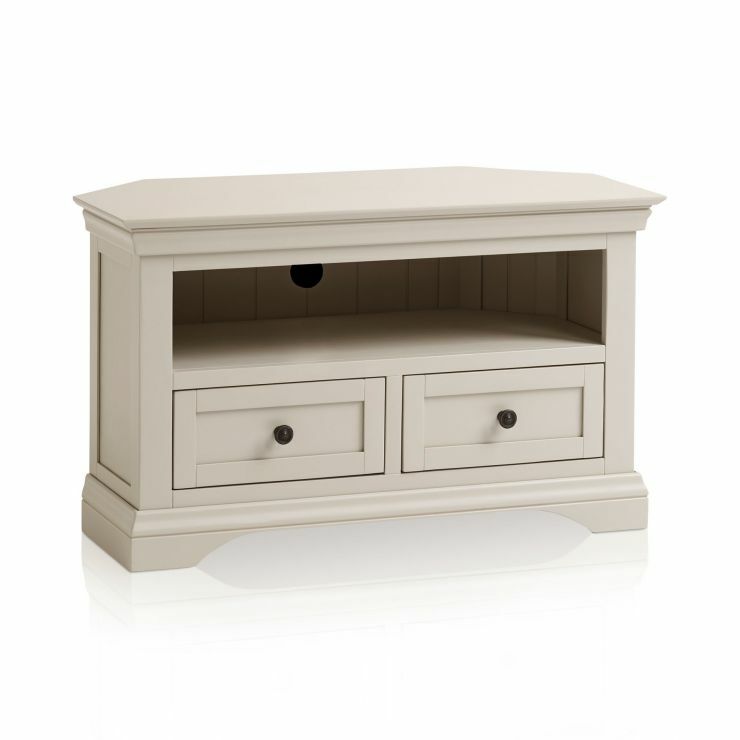 Browse coordinating Arlette pieces for your living room today!